The Syracuse Vet Center will begin providing Readjustment Counseling and Referral Services to Veterans in the Utica/Rome area on February 19th. The center will share office space with the Feed Our Vets organization located in the Genesee Professional Building, 286 Genesee Street, Suite 7 in Utica. Free parking is available in the back of the building. Who is eligible for Vet Center services? -Veterans who served in any combat zone and received a military campaign ribbon. Services are extended to the families of eligible Veterans as well. -Veterans who experienced Military Sexual Trauma (MST). -Bereavement counseling is available to surviving family members. Feed Our Vets has been feeding Veterans 10 years as a 501c3 non profit. Here are the numbers: Over 25,000 veterans have been helped, 18,896 have been fed, 1,255,478 pounds of free food has been distributed and $102,160 in Walmart gift cards have been sent out. Thank you to all who volunteer to make this happen. A big thank you to all who have donated. We are able to do this without the benefit of grants, only from generous donors. THANK YOU! Feed Our Vets helped lay wreaths at Forest Hill Cemetery Saturday. I had to pay my respects to a fellow Sailor. A very moving ceremony. ALBANY – The next time you’re at an event at the Times Union Center, don’t just walk by that giant car parked in the atrium. Instead, take a second look. 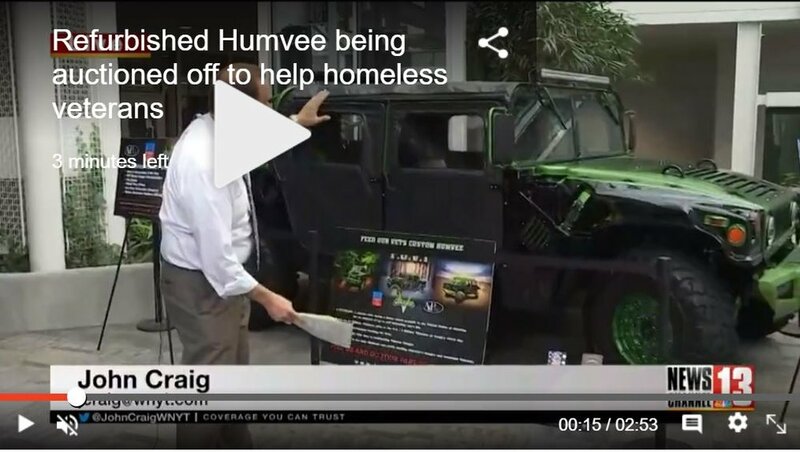 The founder of “Feed Our Vets” got the idea after seeing a story about a restored H1 Hummer used in the Iraq war auctioned at $1.35 million for charity. 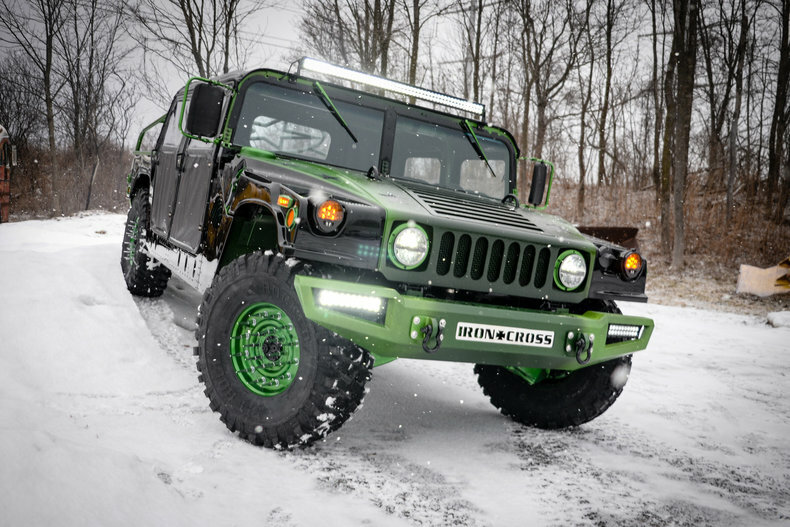 Even if you don’t want to buy it, the message might be enough to help some veterans. Feed Our Vets was featured in the April 2018 issue of VFW Magazine, in the article: Food Insecurity: VFW Joins Forces to Fight Hunger. The article by VFW Magazine writer Janie Dyhouse talks about the problem of Veteran hunger and how Feed our Vets was started. The article goes on to explain that the veteran couldn’t afford to eat two weeks out of each month. — the VFW article quotes, FOV Founder and Executive Director Rich Synek. Read the full article at VFW Magazine online. This Saturday, New York Sash and Express Employment Professionals are teaming up for Give Back Giveaway to raise food donations for Feed Our Vets. We learn more about these organizations and why the cause is so important! On Saturday November 18th, New York Sash welcomes Express Employment Professionals and their Military Cargo Vehicle for a food drive to benefit Feed Our Vets. ason & Douglas Allen-Leonard of Bite Bakery and Cafe donated 600 lbs. of potatoes to the Feed Our Vets Utica Pantry in time for it Saturday, November 18th food distribution for Veteran families. Served daily until 11 AM & Sunday 8 AM – 1 PM. We can handle your special day call for consultation. Lunch daily from 11 AM – 7 PM, except on Sunday. Baked right in house, selection rotates daily. A wide variety including coffee, tea & espresso drinks. Get our handmade macarons every month. Ask us how! This Saturday, America honors and celebrates Veterans Day, and the service of the men and women who have worn the uniform, who have pledged to serve and defend the freedoms we hold dear. They are all heroes. However, when some Veterans return to the civilian world, they struggle. They struggle to find living wage jobs. They struggle to access the benefits they’ve earned. They struggle to support their families.Thankfully, this struggle is usually temporary. Veteran families just need a helping hand while they work to get back on their feet. And Feed Our Vets provides that helping hand. Our Veteran programs provide free food to Veteran and their families. That food keeps them from having to choose between paying the rent and buying enough nutritious food to keep their families healthy. Since 2008, Feed Our Vets has provided free food assistance to more than 20,000 Veterans and their family members, distributing 445,000 lbs. of food.Our mission is to help Veterans in the United States, their spouses and children, whose circumstances have left them on the battlefield of hunger, and to involve the public in fighting Veteran hunger. Please help us help these American heroes get through the tough times until they get back on their feet. Make a generous donation to support our Veteran food programs today. Rep Claudia Tenney (R-New York, 22nd District) gave a speech on the floor of the U.S. House of Representatives honoring Feed Our Vets Founder & Executive Director Rich Synek. Claudia Tenney was elected to serve as a member of the United States House of Representatives on November 8, 2016, after winning one of the most expensive races in the nation. As a freshman member of the 115th Congress, she was selected to serve on the House Financial Services Committee. Previously, Claudia served as a member of the New York State Assembly. Claudia was first elected to the Assembly on November 2, 2010. Claudia is an accomplished attorney and longtime small business owner. Claudia was the co-owner and legal counsel to Mid-York Press, Inc., a commercial printing and manufacturing firm started by her grandfather in 1946. Mid-York Press currently employs nearly 70 people in the Chenango County community of Sherburne. Claudia also maintained a private law practice in Clinton, New York.